Only 2 Grand Sport 2LT models left in stock! GRAND SPORT!! CONVERTIBLE!! 2LT!! AUTOMATIC!! NAVIGATION!! BLACK ALUMINUM RIMS!! 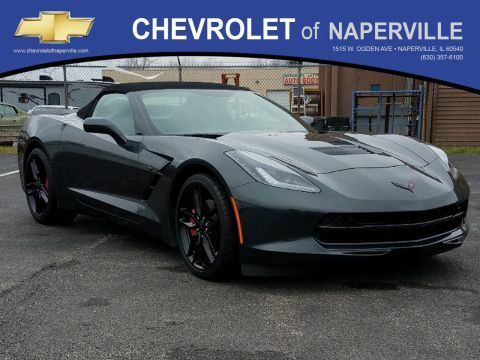 2019 CHEVROLET CORVETTE GRAND SPORT 2LT CONVERTIBLE, BLACK ON JET BLACK HEATED/COOLED LEATHER SEATING, BLACK POWER CONVERTIBLE TOP, TRIPLE BLACK…BEST COLOR ON THE PLANET!! 6.2L V8 ENGINE UNDER THE HOOD, 8-SPD AUTOMATIC TRANSMISSION WITH MANUAL PADDLE SHIFT, 460 PONIES 465 LB/FT TORQUE, 0 TO 60 IN A MEASLY 3.6 SECONDS!! LETS GO OVER ALL THE OPTIONS ON THIS BAT MOBILE!! GRAND SPORT BLACK ALUMINUM WHEELS, RED CALIPERS, 8 INCH COLOR TOUCH SCREEN WITH NAVIGATION, PERFORMANCE VIDEO AND DATA RECORDER, 2LT PACKAGE INCLUDES: MEMORY PACKAGE, POWER LUMBAR AND BOLSTER SEATING, POWER HEATED OUTSIDE MIRRORS W/ DRIVER SIDE AUTO DIMMING, HEATED AND VENTILATED SEATING, SEAT BADGES, UNIVERSAL HOME REMOTE, PREMIUM AUDIO SURROUND, ADVANCED THEFT DETERRENT SYSTEM, COLOR HEAD-UP DISPLAY, 9 MONTHS OF XM RADIO, AND FRONT AND REAR CURB VIEW CAMERAS, LADIES AND GENTLEMAN THIS ONE IS LOADED!! NOW…LETS TALK WARRANTY….YOU GET A FULL 36 MONTH OR 36,000 MILE BUMPER TO BUMPER COVERAGE, PLUS 5 YEAR OR 60,000 MILE POWERTRAIN COVERAGE, AND FOR GOOD MEASURE THE FIRST 2 YEARS OF MAINTENANCE ARE ON GM!! YEP…THAT’S OIL CHANGES AND TIRE ROTATIONS FOR THE FIRST 2 YEARS!! NOW…THAT’S WHAT I’M TALKING ABOUT….WORRY FREE DRIVING!! 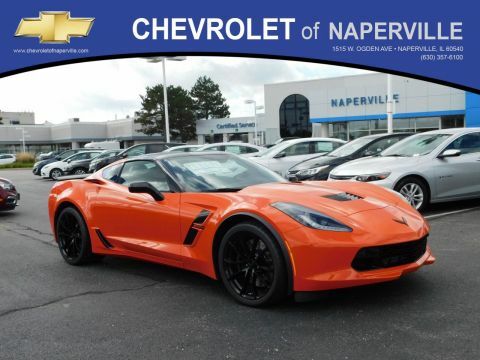 COME ON IN TODAY AND TAKE THIS LOADED UP VETTE FOR A SPIN AROUND OUR CHEVROLET OF NAPERVILLE TEST TRACK!! FIRST ONE HERE WINS….SEE YA SOON!! 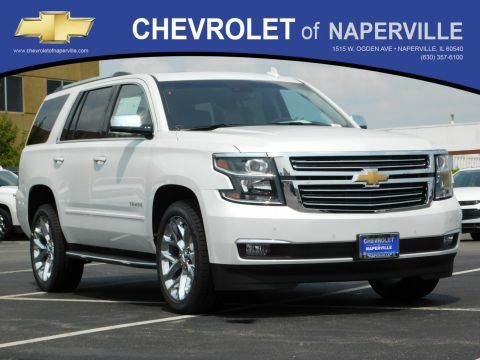 FIND NEW ROADS AT CHEVROLET OF NAPERVILLE…..ZOOOOM ZOOOOM!! GRAND SPORT!! CONVERTIBLE!! 2LT!! AUTOMATIC!! NAVIGATION!! BLACK ALUMINUM RIMS!! 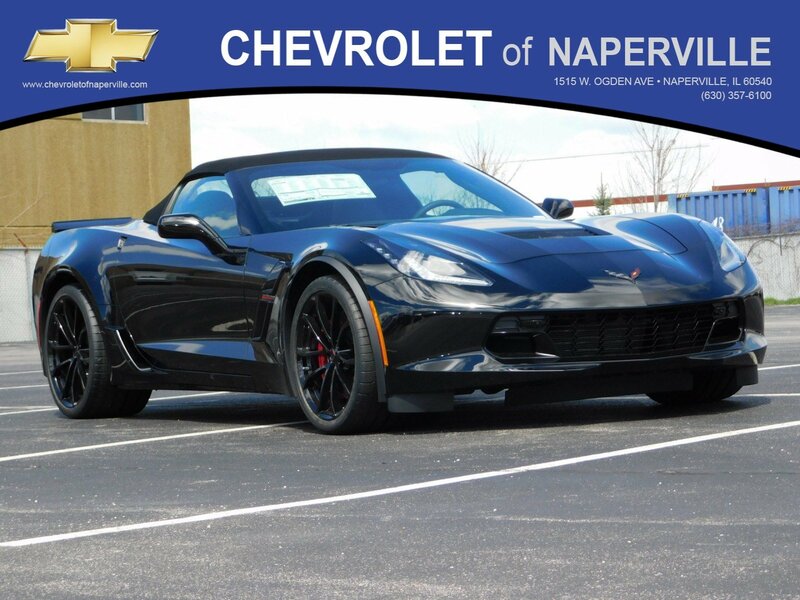 2019 CHEVROLET CORVETTE GRAND SPORT 2LT CONVERTIBLE, BLACK ON JET BLACK HEATED/COOLED LEATHER SEATING, BLACK POWER CONVERTIBLE TOP, TRIPLE BLACK...BEST COLOR ON THE PLANET!! 6.2L V8 ENGINE UNDER THE HOOD, 8-SPD AUTOMATIC TRANSMISSION WITH MANUAL PADDLE SHIFT, 460 PONIES 465 LB/FT TORQUE, 0 TO 60 IN A MEASLY 3.6 SECONDS!! LETS GO OVER ALL THE OPTIONS ON THIS BAT MOBILE!! GRAND SPORT BLACK ALUMINUM WHEELS, RED CALIPERS, 8 INCH COLOR TOUCH SCREEN WITH NAVIGATION, PERFORMANCE VIDEO AND DATA RECORDER, 2LT PACKAGE INCLUDES: MEMORY PACKAGE, POWER LUMBAR AND BOLSTER SEATING, POWER HEATED OUTSIDE MIRRORS W/ DRIVER SIDE AUTO DIMMING, HEATED AND VENTILATED SEATING, SEAT BADGES, UNIVERSAL HOME REMOTE, PREMIUM AUDIO SURROUND, ADVANCED THEFT DETERRENT SYSTEM, COLOR HEAD-UP DISPLAY, 9 MONTHS OF XM RADIO, AND FRONT AND REAR CURB VIEW CAMERAS, LADIES AND GENTLEMAN THIS ONE IS LOADED!! NOW...LETS TALK WARRANTY....YOU GET A FULL 36 MONTH OR 36,000 MILE BUMPER TO BUMPER COVERAGE, PLUS 5 YEAR OR 60,000 MILE POWERTRAIN COVERAGE, AND FOR GOOD MEASURE THE FIRST 2 YEARS OF MAINTENANCE ARE ON GM!! YEP...THAT'S OIL CHANGES AND TIRE ROTATIONS FOR THE FIRST 2 YEARS!! NOW...THAT'S WHAT I'M TALKING ABOUT....WORRY FREE DRIVING!! COME ON IN TODAY AND TAKE THIS LOADED UP VETTE FOR A SPIN AROUND OUR CHEVROLET OF NAPERVILLE TEST TRACK!! FIRST ONE HERE WINS....SEE YA SOON!! FIND NEW ROADS AT CHEVROLET OF NAPERVILLE.....ZOOOOM ZOOOOM! !